Miniminter aka Simon Minter is a YouTube gamer who is known for his commentary and vlogs featuring the video game- FIFA. 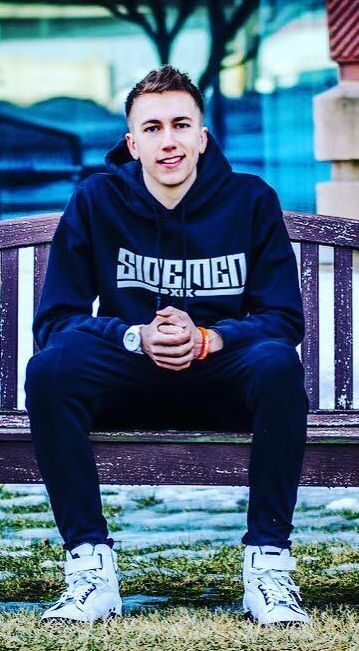 ‘Mini’ in his YouTube name- Miniminter which stands for the fact that he is the youngest of three brothers and ‘Minter’ comes from his last name. He is associated with a group- Sideman, which has over 2 million subscribers on YouTube. He also runs a YouTube channel- MM7 Games for his personal vlogs, Q & A’s and gaming videos. This channel also has more than 8 million subscribers. He is a socially awkward person in real life. He is the valor of his YouTube team- Sideman. He also streams his gaming videos on Twitch (the world’s leading video platform and community for gamers). He has more than 200k followers on that social platform.